We are proud to announce that we have just pledged to work with Right Tourism which is an organisation with one main mission: to help people make informed decisions when they are travelling. We are now working alongside Right Tourism which promotes responsible, informed, guilt-free and humane tourism. They offer advice on how to stay animal-friendly whilst travelling. 1) Don’t attend a show which encourages animals to perform in a non-natural way. Top of this list would be circuses and certain zoos around the world where you can see, for example, elephants on bicycles and orang-utan boxing. 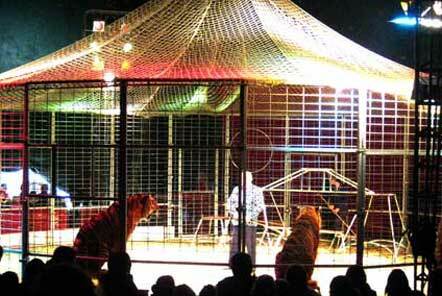 Circus shows with tigers jumping through hoops may live on in movies, but awareness of the way animals must be trained to do this has led to many countries banning them. 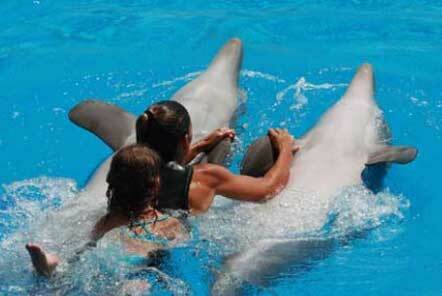 Controversy is currently surrounding another form of animal ‘performances’ – dolphin shows. The debate is currently raging as to whether teaching dolphins to perform tricks – and by association, keeping them captive – causes cruelty and stress. Some argue that the shows are important to education and conservation, others say that keeping an intelligent, social mammal in a pool around a millionth of the size of its natural habitat is inherently cruel and should be stopped. 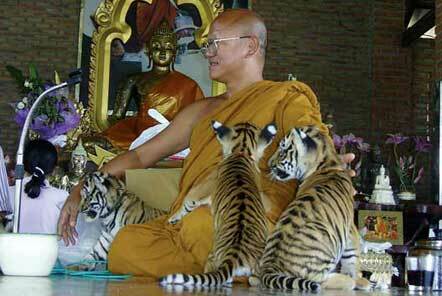 2) Don’t have your photo taken holding a wild animal. Tourists in many countries are often approached in busy areas by local people holding a wild animal, and asked if they will have a photo taken with it. 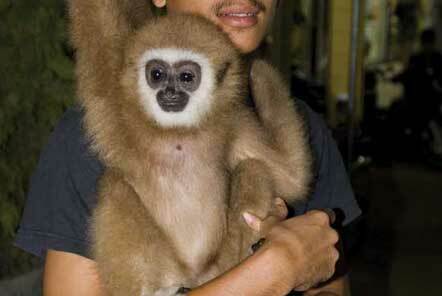 This can include slow lorises in Thailand, monkeys in Marrakesh and lion cubs in Cancun. The hidden side of these photos is that in the vast majority of cases the animal will have been taken from the wild, its parents killed, its claws and teeth removed, been beaten until it submits and kept in terrible conditions. Care for the Wild’s current No Photos, Please! Campaign sums up the message with the phrase ‘Photo for Facebook? You’ve Just Liked Animal Abuse’. Best to stay away from these kind of photo opportunities. More organised versions of this includes places like the Tiger Temple in Thailand – always ask yourself – if it’s a wild animal, why have I got the chance to cuddle it? 3) Do keep your distance from animals in the wild so you don’t disturb or harm them. Getting up close and personal might be beneficial in some aspects of life, but when it comes to wild animals, it’s often not sensible. Research continues to be done on the stress caused to wild animals by close human contact, such as on gorillas in the Congo or on pods of dolphins. 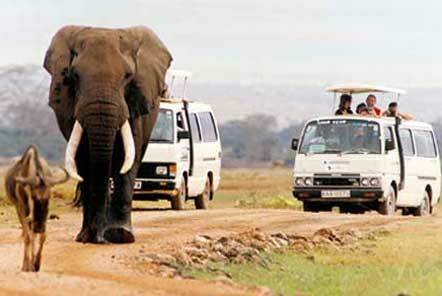 Safaris where coachloads of tourists talk loudly while a lion tries to go about its business, or dolphin-watching where pods are surrounded by a dozen boats dropping tourists into the water are bad practice. Take the time to ensure you go with a reputable operator who understands that it should be the animal that chooses to come to us, not the other way around. 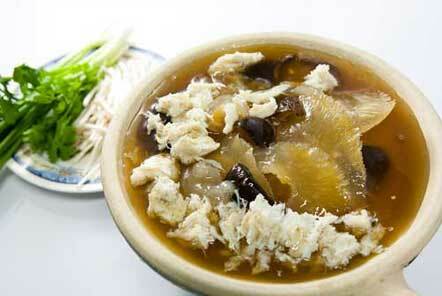 4) Don’t buy or eat anything that could have come from an endangered animal. Eating in an ‘exotic’ restaurant can be fraught with danger to your own stomach, but it can also be contributing to the demise of endangered species. Awareness of issues around shark fin soup, a ‘luxury’ which is now being banned by restaurants around the world, including in China, has been a high-profile example of how campaigning and awareness of its impact on animals (in this case, 100m sharks killed a year) can change things for the good. Be particularly aware in Asia and Africa, especially if you’re not sure what the words on the menu mean. Shopping on holiday can be great fun, but watch out for suspicious items, such as those which might be made from cat fur (possibly labelled ‘Faux fur’), or ivory trinkets. 5) Do think about how your tourist experience is impacting on the animals you come across. Most harm to animals can be avoided with a bit of thought, or a bit of research. Cruelty to animals can come in many forms, some obvious, some hidden. It’s easy to get caught up in the moment when you’re on holiday, to maybe follow the crowd on an excursion or to think ‘when in Rome…’ But keeping your wits about you, and doing a quick Google before you go if possible, are great ways to ensure that both you and the animals enjoy your holiday. 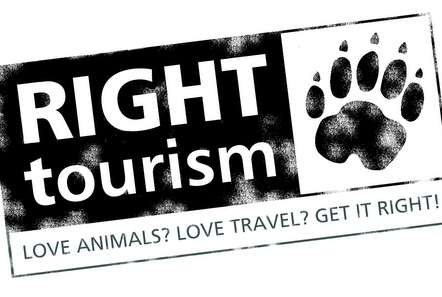 To find out more about Right Tourism's follow up project work being carried out by Born Free, click here. Thank you to Chris Pitt, (Care for the Wild International, which runs the campaign offering advice on how to enjoy animals without harming them) for the blog content and photos.